Once again my wife and I bought too many little cherry tomatoes and I was really tired of eating them on salad so this is how I finished them up in dinner a couple nights ago. First off cook the tortellini according to the package minus one minute, drain in a colander, and rinse under cold water to stop the cooking process. Set them aside, we will heat them up after cooking the chicken. For the chicken, season with salt & pepper and sprinkle some Italian seasoning over the breasts. Just a quick note these were very large chicken breasts. Heat a large sauté pan over medium heat, add 2 tablespoons of good quality olive oil, then put the chicken breasts in and cook for about five minutes then flip over for another four or five, until a thermometer inserted in the thickest part reads 165 degrees. 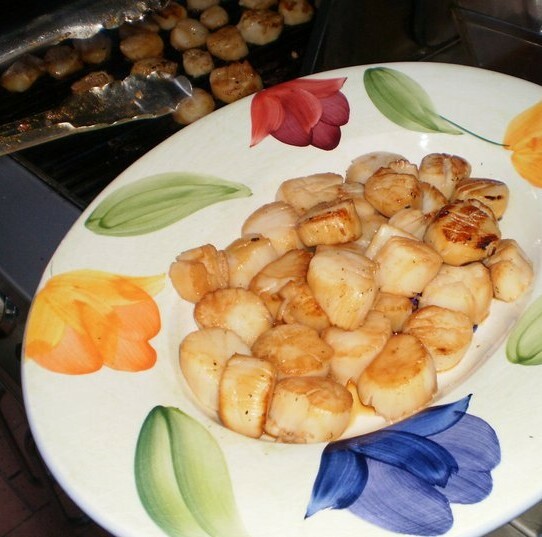 Take them out and set aside on a plate to rest for a minute while you make the sauce for the tortellini. 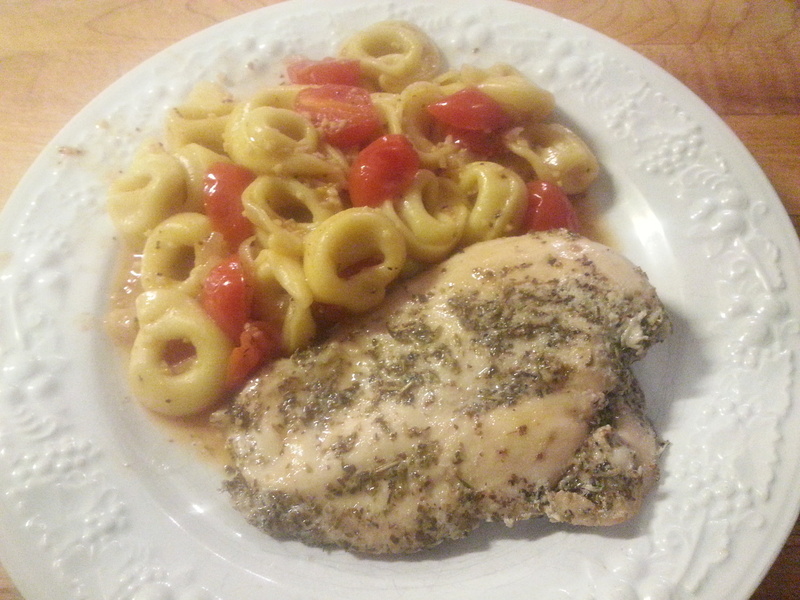 This entry was posted in Dinner, Food, Herbs/Spices, Lunch, Pasta, Poultry and tagged chicken, chicken breasts, italian seasoning, tortellini. Bookmark the permalink.